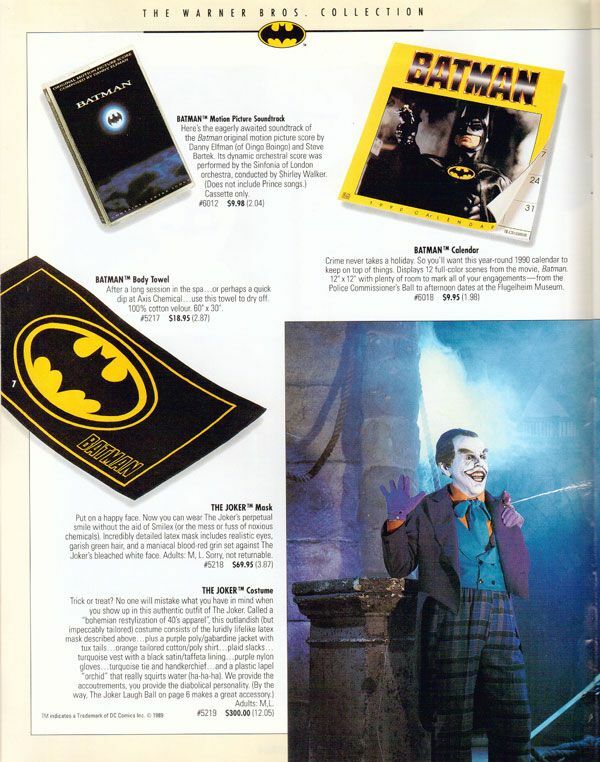 For anyone that owned a VHS copy of Batman, you may remember an advertisement featuring Bugs Bunny and Daffy Duck that preceded the film. 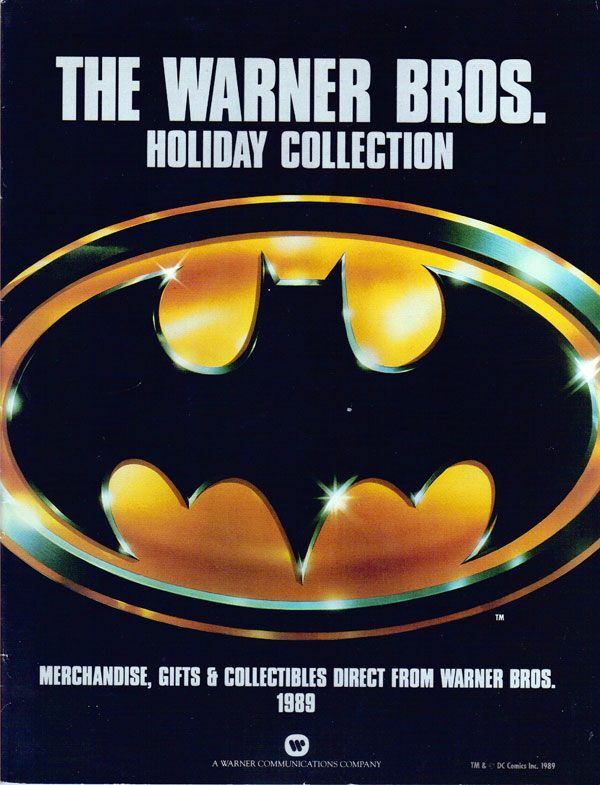 In the ad, Bugs and Daffy argued back and forth about watching the film without first ordering merchandise from the Warner Bros catalog (spoiler warning- Bugs came out on top). 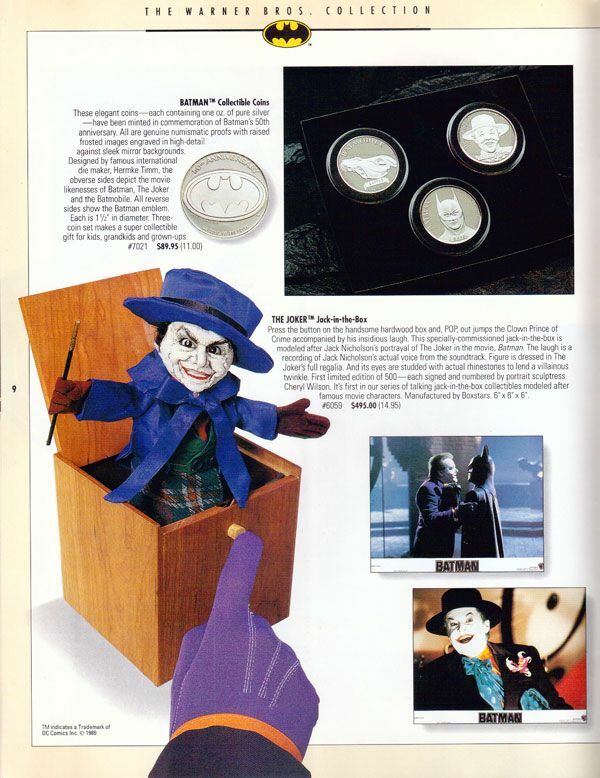 If you ever wondered what that catalog looked like, well this post is for you! 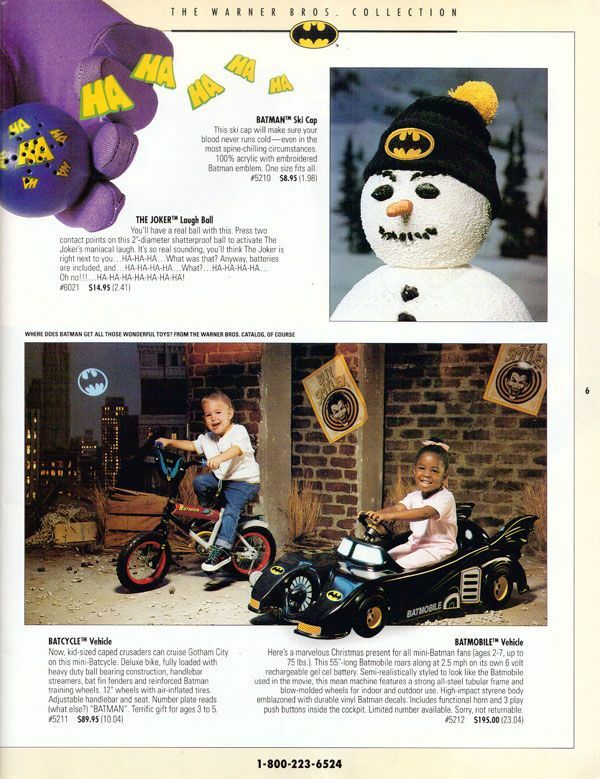 Pictured here is all the Bat-merchandise featured in the 1989 Warner Bros Holiday Catalog. Enjoy! Great idea for a site! 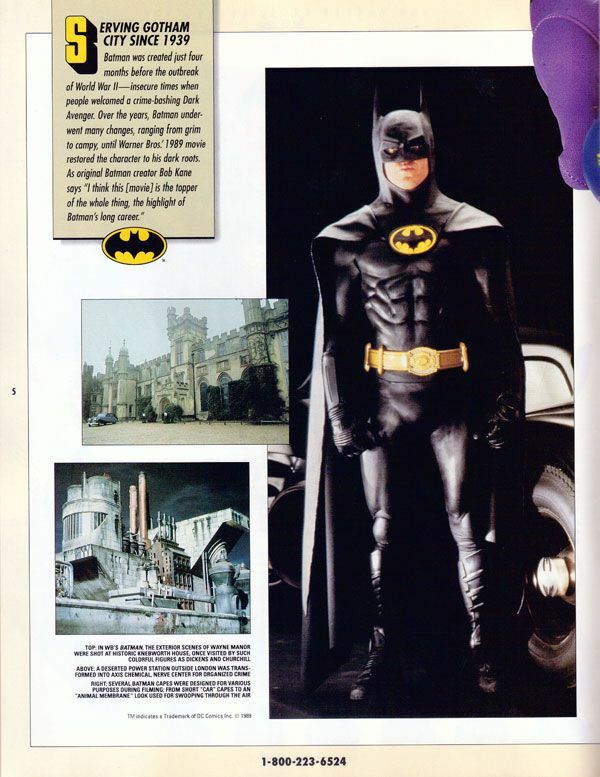 This movie holds a very special place in my heart, too (and in Batman's history). 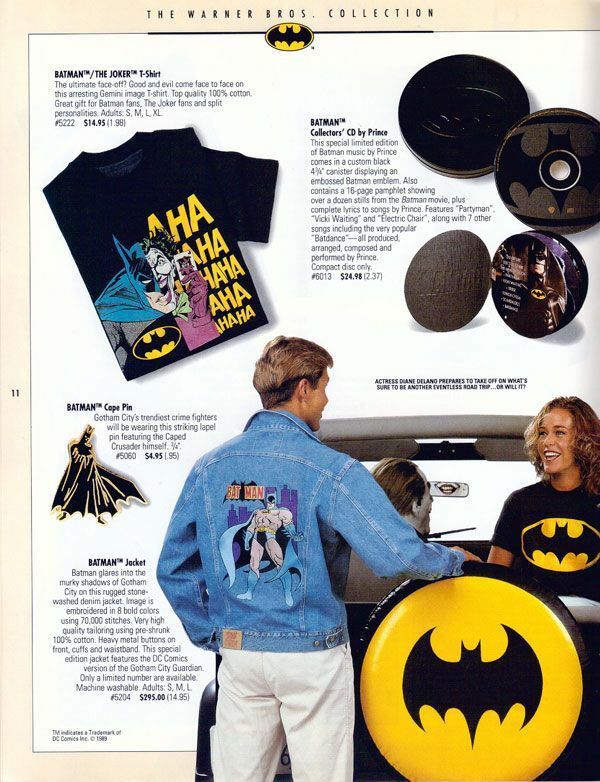 I've never seen this catalog before and it was great to see it. 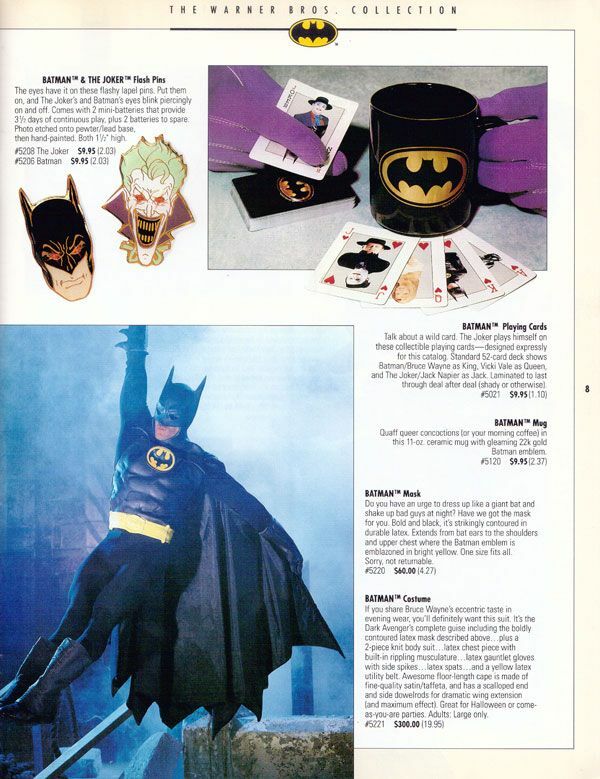 I had also never seen the Entertainment Tonight segment on the merchandising. I love that kind of stuff. 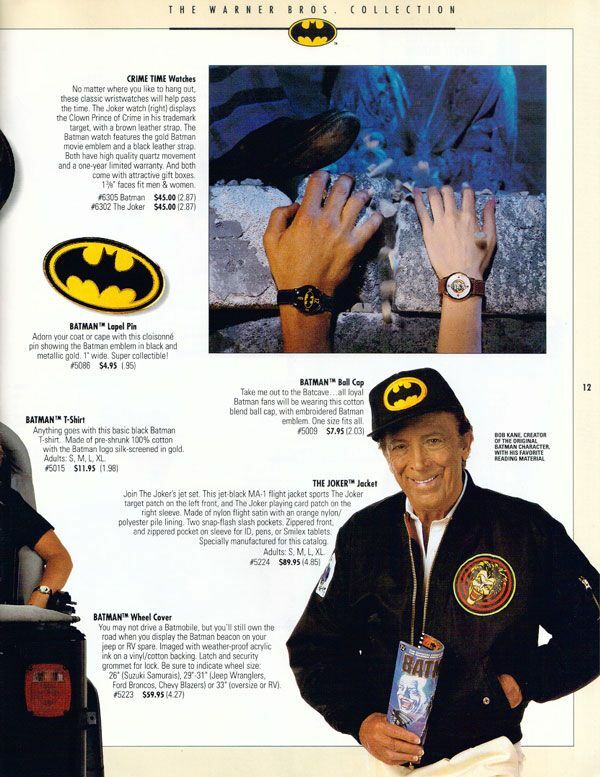 I use to record every Batman 89 interview, commercial, news segment, etc. on to VHS. 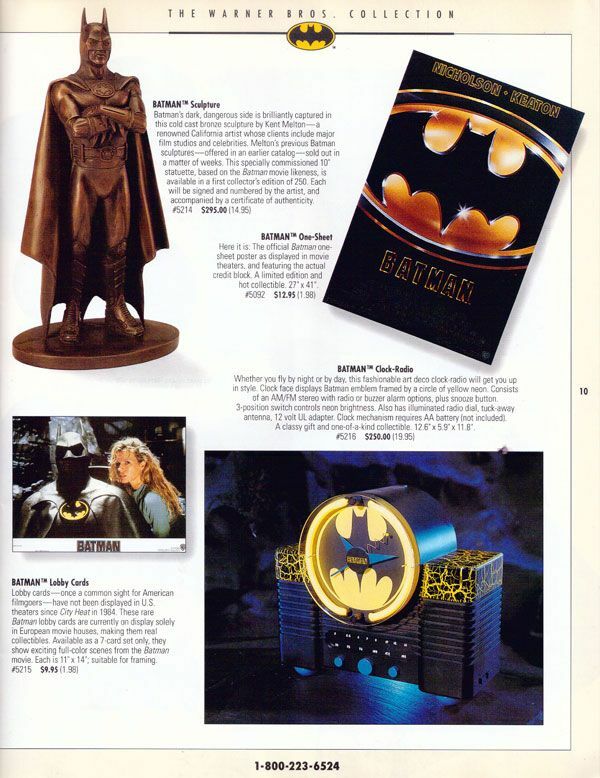 I'm a big Batman collector and that summer of 1989 was really special. Keep up the great work!